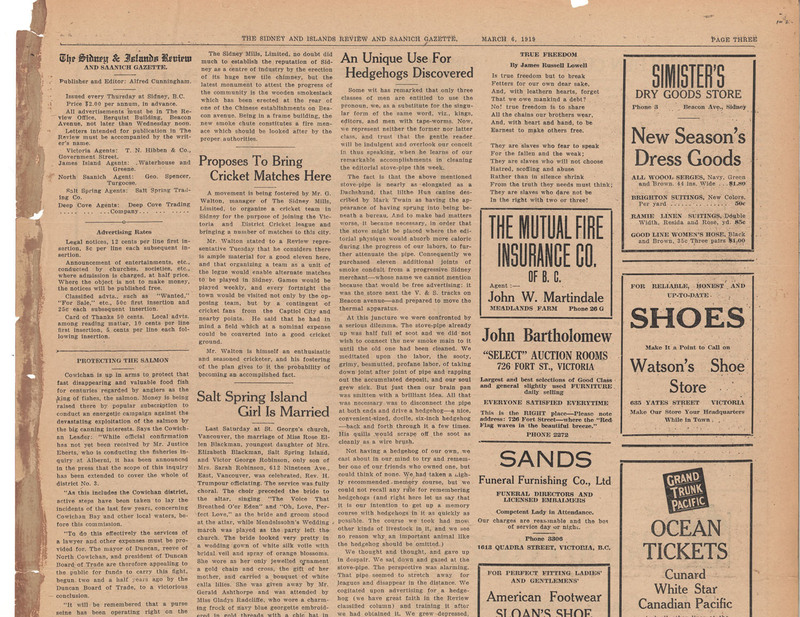 Sidney and Islands Review, 6 March 1919, Page 3. "The Sidney Mills, Limited, no doubt did much to establish the reputation of Sidney as a centre of industry by the erection of its huge new tile chimney, but the latest monument to attest the progress of the community is the wooden smokestack which has been erected at the rear of one of the Chinese establishments on Beacon avenue. Being in a frame building, the new smoke chute constitutes a fire menace which should be looked after by the proper authorities."